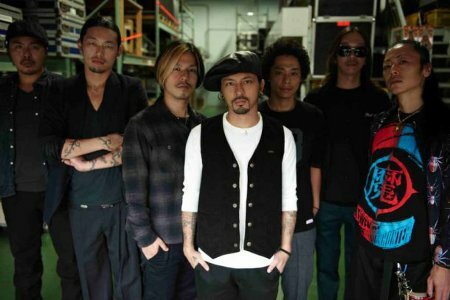 Hip-hop group Dragon Ash has announced the release of their new album, "MIXTURE," on December 8th.� The release will be promptly followed up with an album tour in Japan for the month of January. "MIXTURE" is Dragon Ash's first album in almost two years and is their 8th original album overall.� As the titled suggests, the album will contain a great mixture of sound probably ranging between the hip hop and punk genres that the band is known for using.� They will also perform songs off of the new release at their "DRAGON ASH TOUR RAMPAGE" starting on January 28th at the SHIBUYA-AX.� The tour will contain 17 different shows across Japan. Dragon Ash also wants to use this tour as a chance to give a new band a chance to shine.� They do not currently have an opening act for SHIBUYA-AX, Sanba Hatch, Zepp Nagoya, Zepp Fukuoka, and Zepp Sendai.� They have applications open so that bands can take this opportunity to play before a bigger audience.� Applications are up on the official Dragon Ash website.